The Center for Community College Partnerships (CCCP) at UCLA acknowledge the Tongva peoples as the traditional land caretakers of Tovaangar (Los Angeles basin, So. Channel Islands) and are grateful to have the opportunity to work for the taraaxatom (indigenous peoples) in this place. As a land grant institution, we pay our respects to Honuukvetam (Ancestors), ‘Ahiihirom (Elders), and ‘eyoohiinkem (our relatives/relations) past, present and emerging. The Center for Community College Partnerships is responsible for developing and strengthening academic partnerships between UCLA and California community colleges, particularly those with large historically underrepresented student populations. 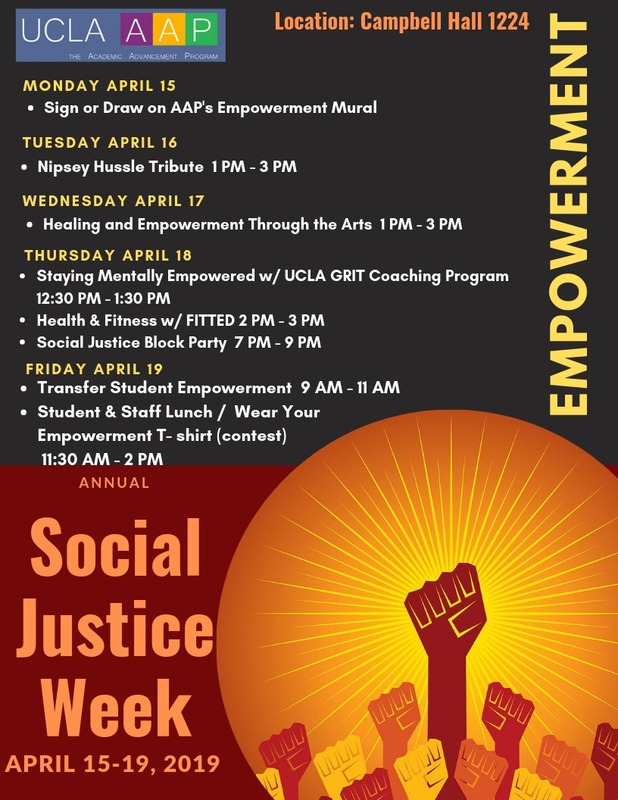 In its commitment to social justice and diversity, UCLA CCCP works to increase transfer rates and success of underserved community college populations by holistically equipping students with skills and knowledge of available transfer pathways to empower them to become self-advocates and leaders in their communities. UCLA CCCP contributes to the scholarship that focuses on transfer issues (research, policy-making, publications, etc. ), ultimately enhancing transfer-sending and transfer-receptive cultures through the leadership and success of our peer mentors, scholars, and alumni and through the collaboration of staff and faculty at universities and community colleges. The Center works closely with the UCLA Office of Undergraduate Admissions, the Community College Transfer Recruitment staff and other campus departments to help coordinate UCLA’s transfer strategic plans with community colleges. The Center for Community College Partnerships (CCCP) develops and strengthens academic partnerships between UCLA and California community colleges. 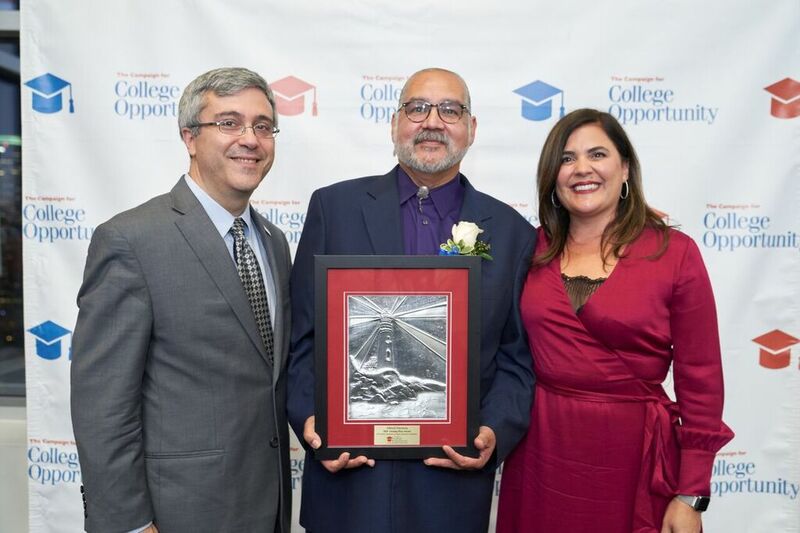 Through a multi-faceted approach with efforts at the student, faculty, and administrative levels CCCP works to increase the academic preparation and competitiveness for community college transfer students, particularly those who are first generation, low-income or historically underrepresented. CCCP also helps community colleges to develop a transfer sending culture, and the University to develop a transfer receiving culture. Facilitates stronger and more effective working relationships between community college programs and offices serving potential transfer students, particularly those from underrepresented groups, such as MESA, PUENTE, EOP/S and TRIO. Thank you for your interest in visiting UCLA. 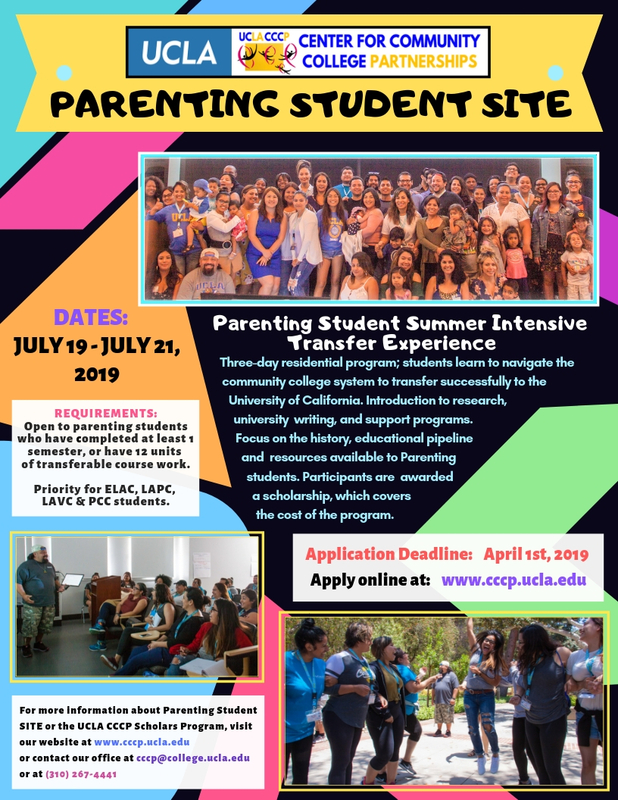 Please click here to complete the request for a UCLA Transfer Experience to UCLA through the Center for Community College Partnerships. 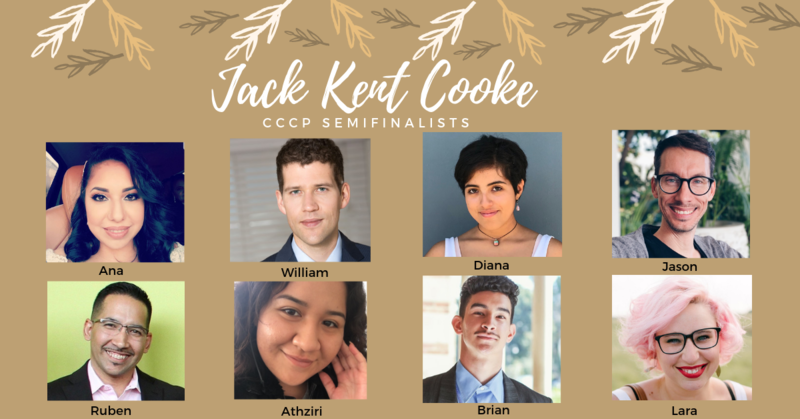 We would like to congratulate the 14 community college CCCP Scholars on being selected as a semi-finalist for the Jack Kent Cooke Undergraduate Transfer Scholarship! It is an amazing recognition of their intellect and hard work! They were selected from almost 1500 applicants attending 369 schools in 45 states! We are proud their hard work has been recognized and are happy to be a part of their educational journey. We know they will achieve great success in the future. CONGRATULATIONS CCCP SCHOLARS AND JACK KENT COOKE SEMI-FINALISTS! Read this Daily Bruin article from 01/10/2019 : Students offer perspective after ranking hails UCLA as top transfer destination. 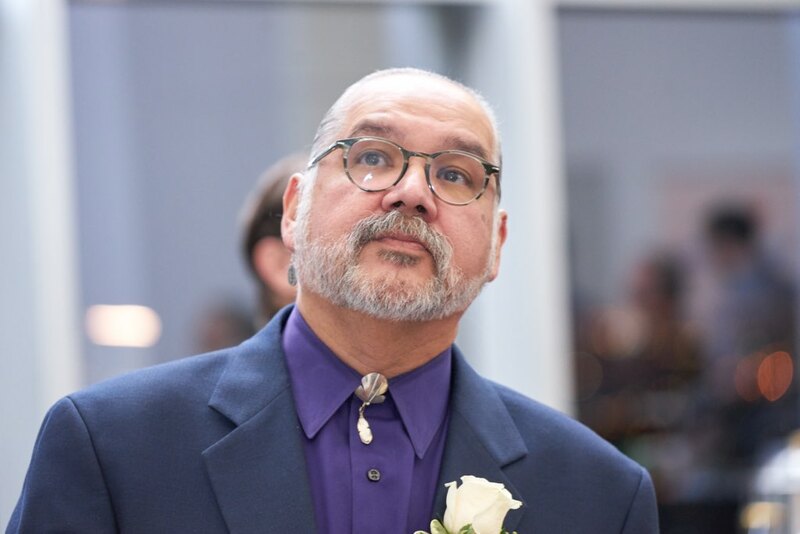 Alfred Herrera, Director and Assistant Vice Provost for Academic Partnerships was recognized as a Champion of Higher Education and received the Unsung Hero Award from the Campaign for College Opportunity on December 4, 2018 for his continuous work and advocacy for transfer students. He has been influential in the creation of a transfer receptive culture in higher education throughout the Nation and abroad. Thank you Alfred! Please READ and Scroll Down for Application! The goal of the program is to motivate, inform and prepare students to transfer from a California community college to a selective Top Tier Research institution such as UCLA. Students in the program have access to our summer and year-long academic preparatory transfer programs which guide students through the community college experience, the application and admissions process, research and pre-graduate opportunities and career exploration. We use Critical Race Theory as a framework to address issues from a social justice perspective, academic excellence and educational equity. Review requirements and select a summer program. Complete CCCP Online Application, including short answer essays (which you can review below) by 11:59 pm. When filling out the online application, we recommend you use Chrome or Firefox as your browser. NOTE: Students must be residents of California or the US (including undocumented students); International students who hold a current US Visa (F1 or other visa) are not eligible. What is your academic goal and how will a community college education help you achieve it? Besides financial challenges, describe one specific challenge in achieving your academic goal. Define what diversity means to you, your community, and its importance. FOR SITE PLUS ONLY: How will taking your primary course choice help you achieve your academic goals? See list of SITE PLUS courses. FOR NATIVE/PACIFIC ISLANDER SITE ONLY: How will learning about Native-American and/or Pacific Islander history and resources at UCLA help you achieve your academics goals? FOR STP ONLY: How will learning about African-American history and resources at UCLA help you achieve your academic goals? FOR STEM SITE ONLY: Why do you want to pursue a major in STEM (Science, Technology, Engineering or Mathematics)? If you are a current or former CCCP Scholar, you must RESUBMIT a new application for the 2019-2020 academic year and update your Transfer Admission Planner. The recommendation form is waived for those who successfully complete the program. Additionally, you will need to attend SITE LITE if you are not applying to or selected for another summer program. Returning scholars will be selected if they have successfully completed their previous year CCCP Scholars agreement. Below is a list of the programs that will be offered in Summer 2019. Six-week commuter program; students complete a UCLA summer sessions course, and receive individual advising on the UC application and personal insight questions. Introduction to research, university writing and support programs. Must participate in activities on Tues. and Thurs. from 2-6 PM, and Orientation on Monday, June 17, 2019. This is a commuter program. One-day, all-day program; students learn to navigate the community college system to transfer successfully to the University of California. Introduction to research, university writing and support programs. Focus on the history, educational pipeline and resources available to current and former Foster Youth. Five-day residential program; students learn to navigate the community college system to transfer successfully to the University of California. Introduction to research, university writing and support programs. Focus on the history, educational pipeline and resources available to Native American and Pacific Islander students. Five-day residential program; students learn to navigate the community college system to transfer successfully to the University of California. Introduction to research, university writing and support programs. Focus on the history, educational pipeline and resources available to African American and Black students. Three-day residential program; students learn to navigate the community college system to transfer successfully to the University of California. Introduction to research, university writing and support programs. Focus on the history, educational pipeline and resources available to Parenting students. Five-day residential program; students learn to navigate the community college system to transfer successfully to the University of California. Introduction to research, university writing and support programs. Focus on the history, educational pipeline and resources available to Undocumented students. Five-day residential program; students learn to navigate the community college system to transfer successfully to the University of California. Introduction to STEM research, university writing and support programs. Focus on STEM resources. 18-day residential program; students complete an ELAC 3-unit course while receiving individual advising on the UC application and personal insight questions. Introduction to research, university writing and support programs. Five-day residential program; students learn to navigate the community college system to transfer successfully to the University of California. Introduction to research, university writing and support programs. Focus on the history, educational pipeline and resources available to Men of Color. Five-day residential program; students learn to navigate the community college system to transfer successfully to the University of California. Introduction to research, university writing and support programs. Focus on the educational pipeline through graduate school. One-day, all-day; introduction to the CCCP Scholars Program, transfer requirements, campus tour, career and graduate information, the education pipeline & social justice; tips for success at the community college. 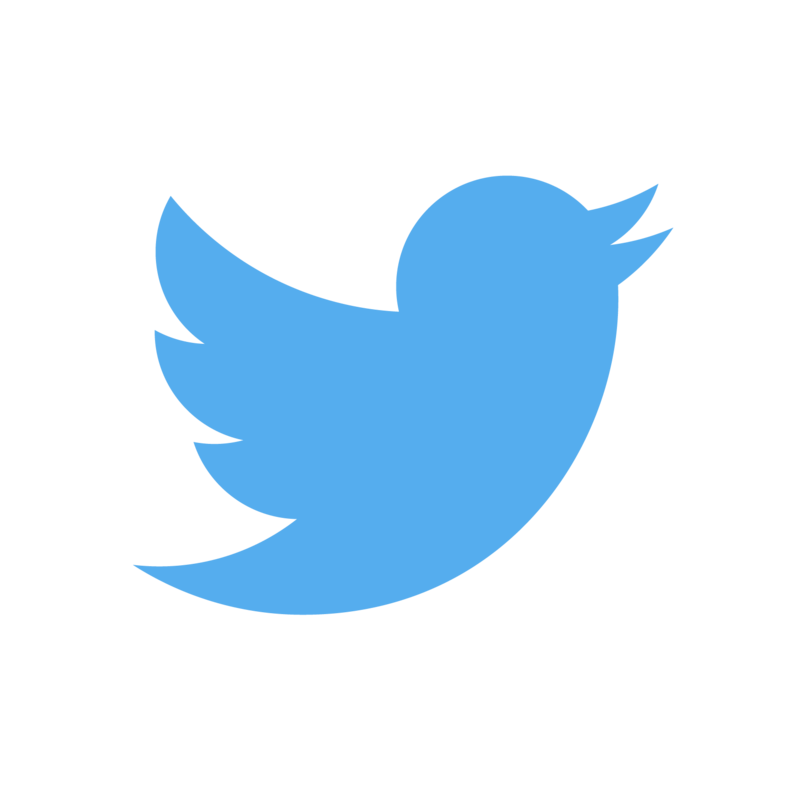 Thank you for your interest in a student position with the Center for Community College Partnerships during the Summer 2019 and/or Academic Year 2019-2020. The CCCP student staff positions are very competitive. If you are not selected at this time, we will keep your application on file for future openings during the academic year. Application for Summer 2019 and Academic Year 2019-2020 is NOW available. Applications received after the deadline will be reviewed based on the availability of positions. Summer 2019 and AY 2019-2020 application deadline has been extended to March 28, 2019. Please take a moment to read about the programs, requirements and application process before filling out the online student staff application . Each program targets different students, has different requirements and demands different skills. Make sure to check the program(s) in which you are interested and/or are able to work. We will try to accommodate your selection(s) but cannot guarantee your first choice. Please complete the application ONLINE by 5 PM on the due date. When you open the link, it will take you to MyUCLA survey titled “CCCP Student Staff Application 2019-2020” (you may need to login first). If you do not see the survey, contact our office. Returning student staff are required to complete each section EXCEPT where instructed not to. What is the role of community colleges in diversifying higher education? Discuss key skills that you possess that will make our team work more effectively. What specific concerns do transfer students have and how would you address them? You can type your responses on a word processor document and cut and paste your responses when filling out the online application. Please make sure to respond to ALL the questions as they apply to you and keep in mind that this is an employment application. 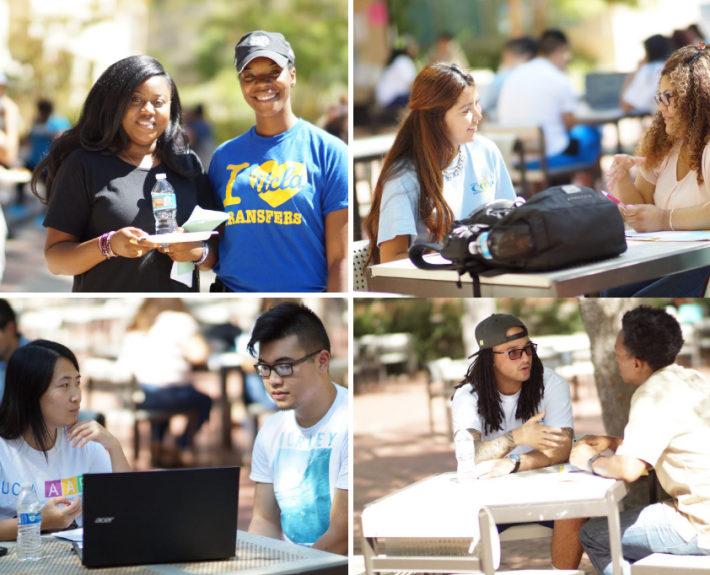 Center for Community College Partnerships offers UCLA students the opportunity to network with prospective transfer students. CCCP is dedicated to making UCLA a place of community and understanding for students coming from underrepresented backgrounds. Volunteering allows for UCLA students to give back and support community college students and the communities in which they come from. In addition, it provides an opportunity for those CCCP Scholars that have been admitted and enrolled at UCLA to complete the required 20 volunteer hours per year. 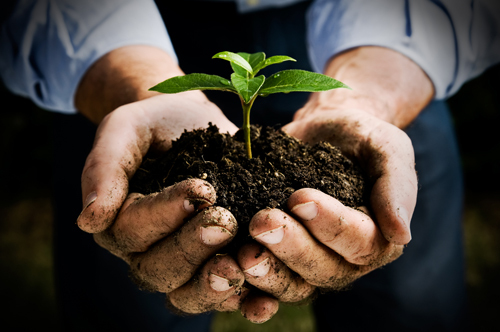 CCCP creates a setting in which volunteers and students can grow together and learn from one another. In addition, Volunteer opportunities vary from our Saturday Academies where hundreds of students attend, Buddy Days where students shadow UCLA students, campus tours and visits or transfer workshops held throughout the year. Please join our CCCP Volunteer List to be notified of upcoming volunteer opportunities.